By the year 2050, increased flights by jet airplanes will impact global climate through the greater number of contrails they will produce, according to a study completed in 1999 and published in The Journal of Geophysical Research Letters. A research team of American and German scientists, headed by Patrick Minnis of the NASA Langley Research Center in Hampton, Virginia, reports evidence that contrails cause a warming of the Earth’s atmosphere. Currently their impact is currently small as compared to other greenhouse effects. They predict, however, that it may grow by a factor of six over the next 50 years. 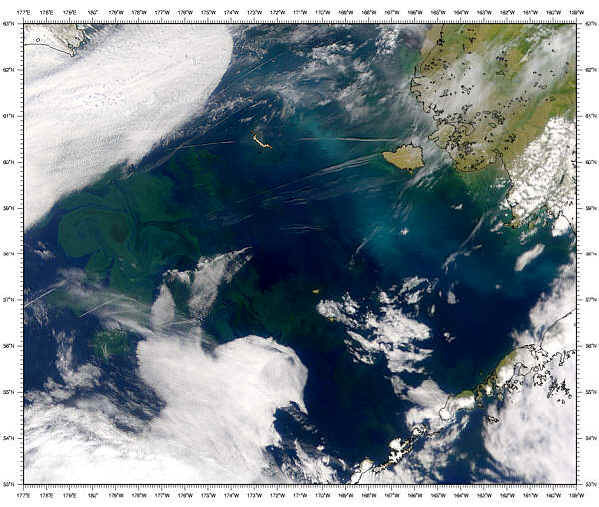 The researchers emphasize that these are conservative estimates, which take into account only the thicker contrails that can be readily observed. 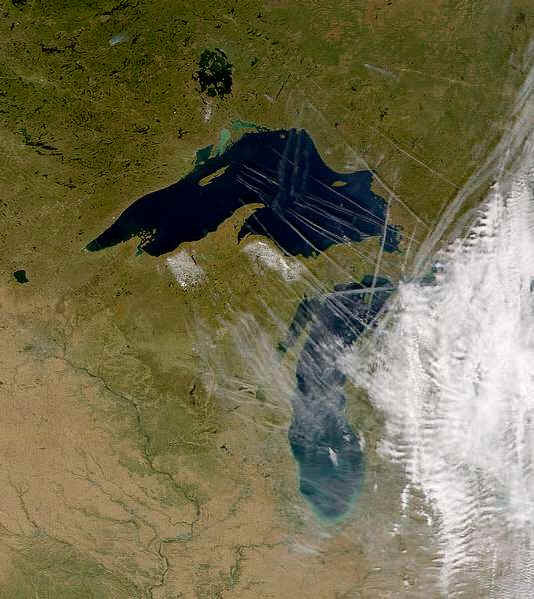 Thinner contrails and contrails that have developed into natural-looking cirrus clouds also affect climate, but their impact cannot yet be predicted. Other factors that would play a role include natural cloud cover, overlapping of contrails, and size of the ice particles that form in them. 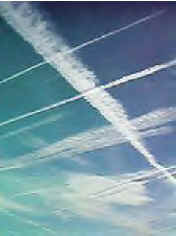 They call for further research into the full extent of current contrail coverage and the specific effect of contrails in forcing climate change. 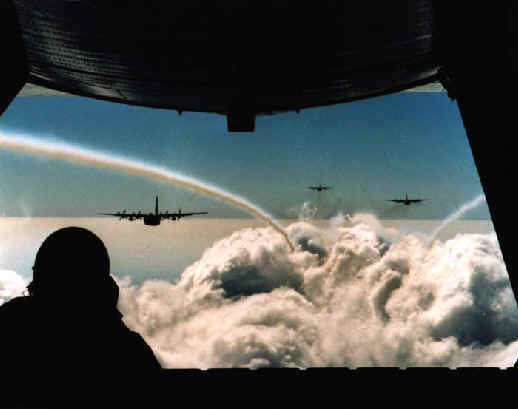 Several scientific studies have suggested that aviation may contribute to detrimental chemical changes in the atmosphere (particularly ozone content), as well as possible climate modification. The most widely accepted assessments are those conducted by United Nations (U.N.) scientific organizations. Ozone trends are monitored by the United Nations Environment Programme (UNEP) and the World Meteorological Organization (WMO). Contrails are human-induced clouds that only form at very high altitudes (usually above 8 km) where the air is extremely cold (less than -40°C). If the air is very dry, they do not form behind the plane. If the air is somewhat moist, a contrail will form immediately behind the aircraft and make a bright white line that lasts for a short while. Persistent contrails form immediately behind the airplane in very moist air. 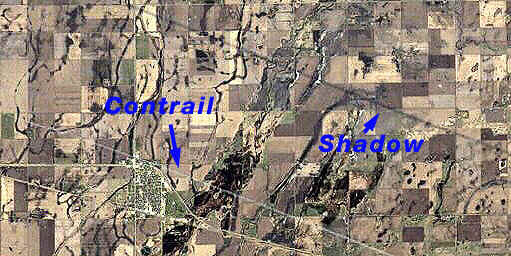 Persistent contrails can exist long after the airplane that made them has left the area. They can last for a few minutes or longer than a day. However, because they form at high altitudes where the winds are usually very strong, they will move away from the area where they were born. 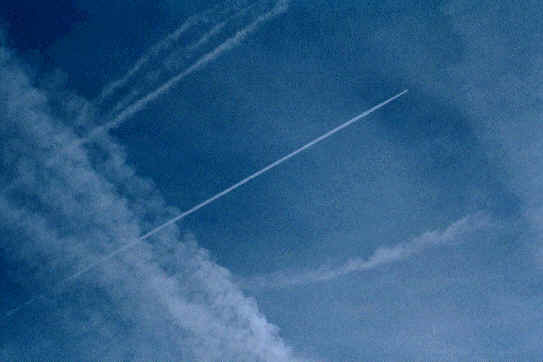 Persistent contrails are those most likely to affect climate. For the past 10 years NASA has held a conference on The Atmospheric Effects of Aviation Project (AEAP). Several hundred researchers from around the world attend annually. 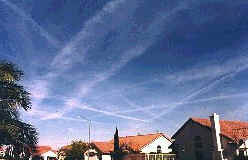 In 1997 Researchers from NASA Langley Research Center in Hampton, Virginia, presented evidence that contrails are contributing to global warming and causing local effects over areas with heavy air traffic. This was reported by Jim Scanlon a journalist in attendance at the conference. He also reports that Fred Singer held a session where he presented a session that argued that the steady increase in air traffic for the last 20 years was responsible for the nighttime warming detected over North America. The Atmospheric Effects of Aviation Project (AEAP) consists of two major efforts to assess the effect of aircraft on the atmosphere. The Atmospheric Effects of Stratospheric Aircraft (AESA), sponsored by the High-Speed Research (HSR) Program at Langley Research Center, is a study of the potential effects of the operation of a projected future fleet of high speed civil transport aircraft (HSCTs). The Subsonic Assessment program (SASS) is a study of the effects of the present subsonic aircraft fleet and of projected future subsonic fleets, and is sponsored by the Advanced Subsonics Technology Program (AST) at Langley Research Center. Objective Develop scientific basis for assessment of atmospheric impact of subsonic and supersonic aviation, particularly commercial aircraft cruise emissions. The conspiracy theory is that government officials are conducting experiments in atmospheric science, and some of them involve a highly classified military project which involves protecting us from some as yet unknown threat. The side effects of people getting sick is part of the price we pay for defense is what the "conspiracy obsessed people" think. The Environmental Protection Agency, NASA, the Federal Aviation Administration and the National Oceanic and Atmospheric Administration published a fact sheet explaining the science of contrail formation. A few months earlier, the Air Force had put out its own fact sheet, which tries to refute its opponents' arguments point by point. "If you try to pin these people down and refute things, it's, 'Well, you're just part of the conspiracy,' " says atmospheric scientist Patrick Minnis of NASA's Langley Research Center in Hampton, Va. "Logic is not exactly a real selling point for most of them."